Mumbai (Bombay) is the capital of the Indian state of Maharashtra. It’s the financial capital of India. It is the most populous city in India, and the most populous city in the world, with a population of approximately 14 million. 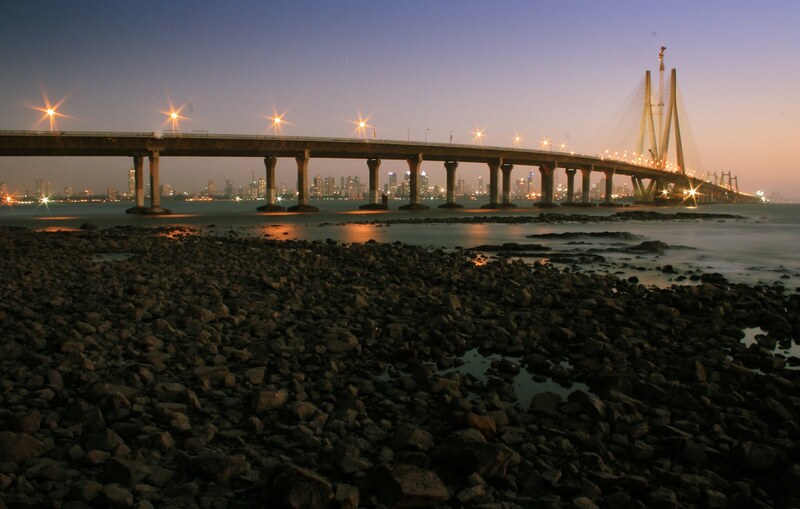 Mumbai is the commercial and entertainment capital of India, generating 5% of India's GDP, accounting for 25% of industrial output, 70% of maritime trade in India and 70% of capital transactions to India's economy. 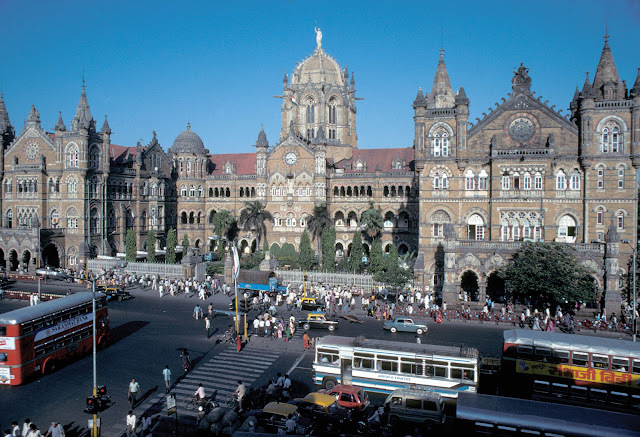 Mumbai is home to important financial institutions such as the Reserve Bank of India, the National Stock Exchange of India, the Bombay Stock Exchange and the corporate headquarters of many Indian and multinational corporations. The city also houses India's Hindi film and television industry, known as Bollywood. Mumbai's business opportunities, as well as its potential to offer a higher standard of living, attract migrants from all over India & neighboring countries. There are many attracting places which you should visit while traveling to India. Gateway of India: Build for the visit of King George V and Queen Mary when he visited India in 1911. 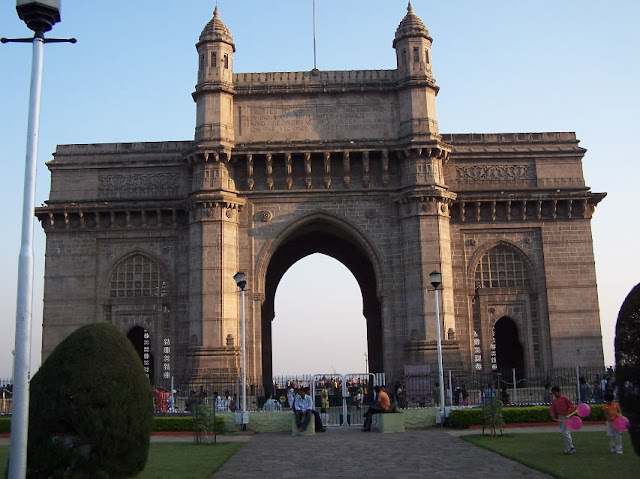 It is an imposing structure, one of the city’s most prominent landmarks and a must visit place. It has been featured in many movies which have been shot in the city and is also a rallying point for public processions and peaceful demonstrations. Candle light vigils are common for popular causes. You can also take a ferry ride from here to the Elephanta Caves; buy the tickets at the gateway office beforehand. It’s cheaper too. 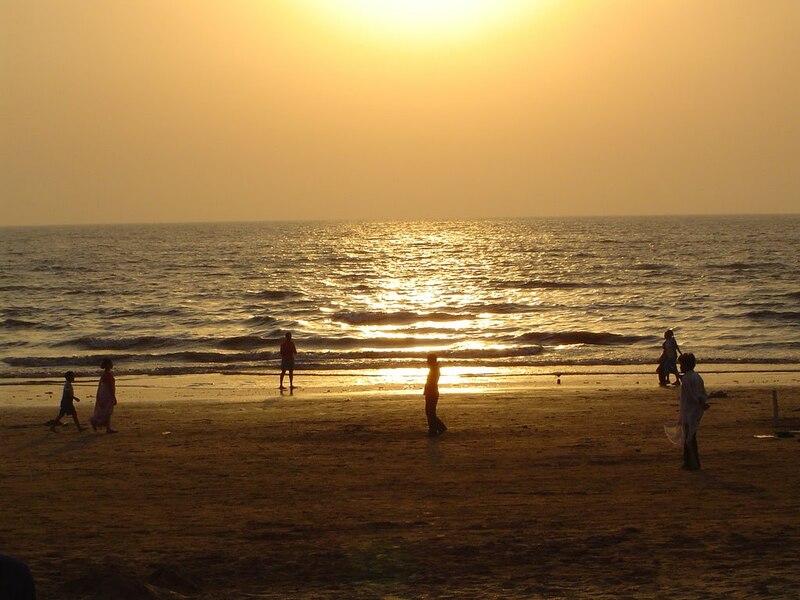 Juhu Beach: This is one of the most popular beaches in the north of Mumbai, with a perpetual fun-filled amazing environment every evening. Families visit the beach and ride the horses, small Ferris wheels that are scattered along the beach. 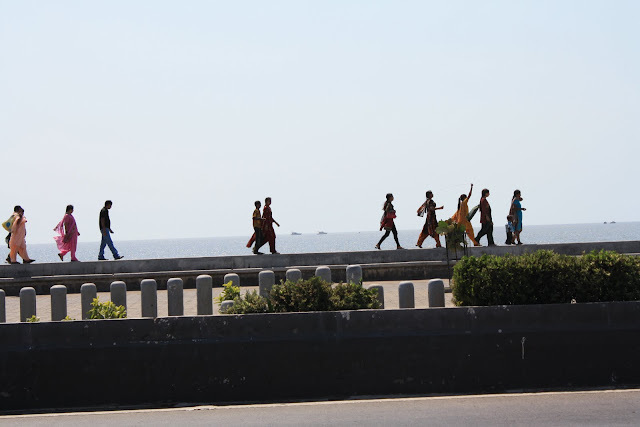 The beach is lined with private homes, and quite a few bungalows of famous Bollywood actors - early morning is a good time to see them jogging or exercising on the beach. Jain Temple: These temples were built in 1904. They are located on the Ridge Road at Walkeshwar in Malabar hill region and are a major landmark besides being a place of worship for the Jain Community. The entrance is flanked by two stone elephants and the temple is set on two floors. The dome on the upper level is painted with signs of the Zodiac while images of various gods and saints are housed on the lower level. Bhau Daji Lad Museum: This museum was previously known as the Victoria and Albert Museum it is the oldest museum in the city of Mumbai. Located near Byculla Station it has been under renovation by the Indian National Trust for Art and Cultural Heritage (INTACH), Mumbai. The museum consists of a square, single-storied building housing a library with rare maps and several old manuscripts. 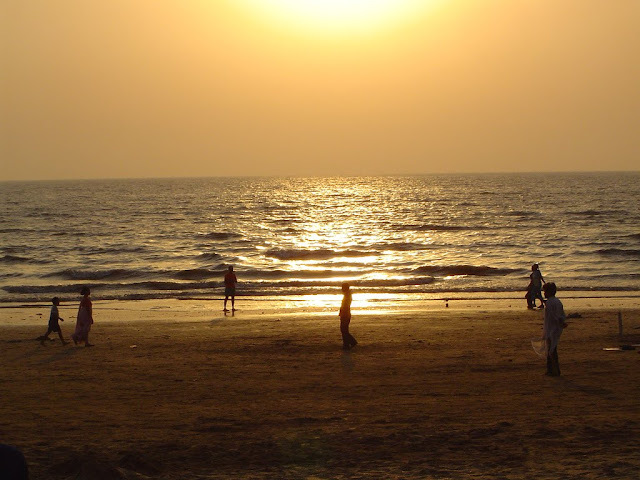 Chowpatty Beach: Another stretch of beach in the south of Mumbai is Chowpatty. Very close to the actual commercial hub of office buildings in the city, if you come down to the beach from Marine Lines at night you will also see the 'Queen’s Necklace, a circle of street lights that looks like a necklace. The beach is famous for its 'Pau Bhaji', essentially buns toasted with butter served with a blend of vegetables. 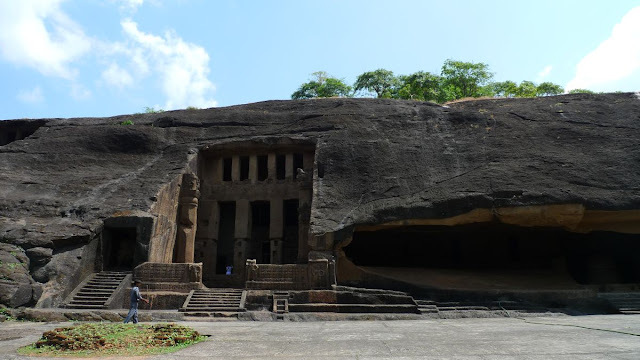 Elephanta Caves: A complex of Shiva temple caves on an island about an hour from the mainland of Mumbai and declared a World Heritage site in 1987. Elephanta Island has a sizable monkey population and it is best not to carry any food in a conspicuous manner to avoid their attention. The temples are said to date back to the 7th century but the statues were damaged by the Portuguese. Kanheri Caves: These Buddhist caves are located in the middle of Mumbai’s Sanjay Gandhi National Park located north of Borivili. 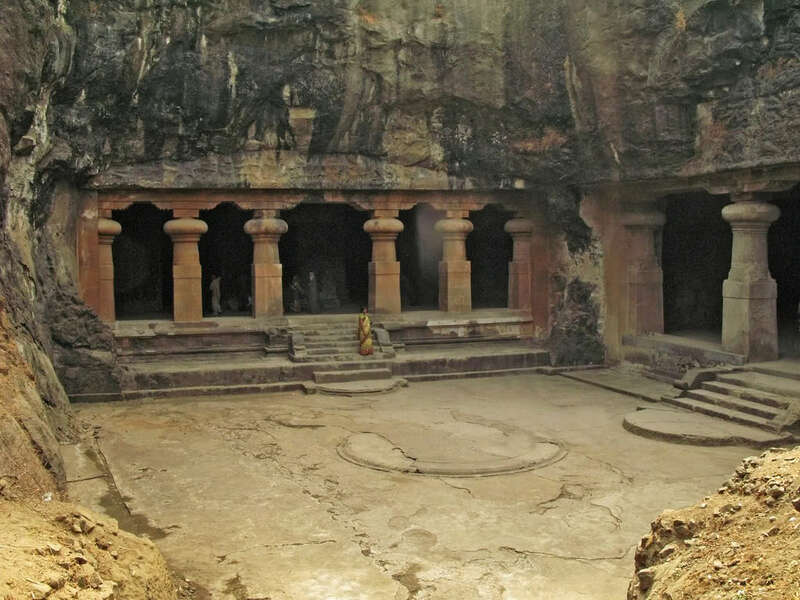 They do not have the artistic overtures of the Elephanta cave temples and are rather Spartan in comparison. Dating back to the first century and with signs of inhabitation till the ninth century, these caves include a well-preserved dagoba and an assembly hall flanked with huge stone pillars. Chatrapati Shivaji Terminus: Built by the British, this railway terminus was designed to be an exact replica of the Victoria Terminus in London. In fact it was also called the Victoria Terminus till about a decade ago when it was rechristened after Shivaji Maharaj, a famous Maratha warrior king. It is still referred to as 'VT' in common parlance, though 'CST' is catching up with it. Haji Ali: The imposing Haji Ali is both a mosque and tomb. It was built in 1431 by wealthy Muslim merchant and saint Haji Ali, who was inspired to change the course of his life after going to Mecca. It also contains his body. 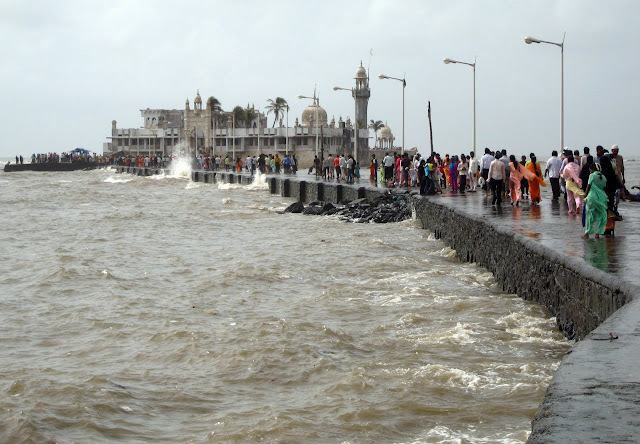 Situated in the middle of the ocean, Haji Ali is only accessible during low tide from a narrow, 500 yard long walkway. On Thursdays and Fridays tens of thousands of pilgrims flock there to receive blessings from the dead saint. If find you need to pass some time until the tide lowers enough, there's a shopping center on the opposite side of the road. Bollywood: Mumbai is the center of India's booming "Bollywood" film industry. The architecturally resplendent Eros Cinema, adjacent to the Churchgate railway station, is a great place to take in a Bollywood movie. Alternatively, it's possible to go on a tour to the heart of the action in Film City. Or if you'd rather be in a Bollywood movie than simply see the set of one, that's possible too! 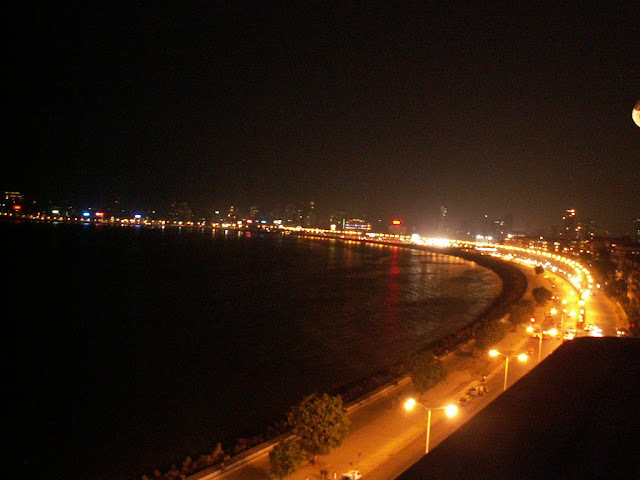 Marine Drive: Built in the 1920s, Marine Drive runs along the shoreline of the Arabian Sea from Nariman Point to the foot of Malabar Hill. It is Mumbai’s most famous thoroughfare and a favourite spot for watching the sunset. Lined on the landward side by a crescent of crumbling Art Deco buildings, it is lit up at night prompting travel agents to dub it the Queen’s Necklace. 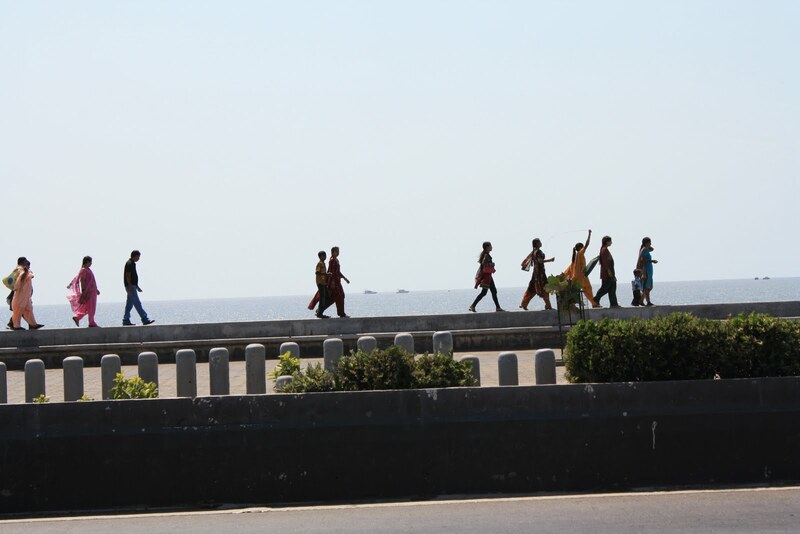 At the top end of Marine Drive is Chowpatty Beach, the only beach in the central part of Mumbai. There are many many 7 Star Hotels like TAJ, Radission and many more where you can easily get accommodation. You can also get cheap hotel in Mumbai.